David Moffitt made his mark on the world of biblical studies with his impressive dissertation “Atonement and the Logic of Resurrection in the Epistle to the Hebrews.” In it, he argues against the long-standing viewpoint that Jesus’ resurrection plays little role in the soteriology of the book of Hebrews. Most modern scholars have seen the crucifixion, through the lens of a sacrificial typology, as the primary place and moment of Jesus’ atoning work. Moffitt largely builds on the work of Old Testament scholars who have proven that 1) the atonement accomplished by blood offerings like Yom Kippur were not focused on the actual slaughter of the animal but on the presentation/sprinkling of the blood and that 2) the blood represents the life of the sacrifice and not its death. Thus, using a typology of Yom Kippur, Jesus’ sacrifice triggers a series of events that leads to atonement, but is itself not sufficient or primary in the accomplishment of atonement. Moffitt uses these conclusions to argue for the primacy and importance of the resurrection in the book of Hebrews (see a good summary and review here). While I think Moffitt is largely on the right track and much of his exegetical work on Hebrews is incredibly important, I can’t help but wonder if there is a glaring flaw in his conclusion. That is, Jesus’ bodily resurrection does not guarantee or accomplish atonement (in Hebrews itself or in Moffitt’s reading of Hebrews). It is the ascension of the bodily resurrected Christ into Heaven which does this – as he presents his blood in the actual Holy of Holies. A post-crucifixion embodied life is certainly necessary for this, but is itself just an event in the process which leads to the atonement. A resurrected Jesus, still walking around on earth, has not truly accomplished atonement according to the typology utilized in the book of Hebrews. At many points, Moffitt seems to recognize and appreciate this, yet it never seems to make a big enough impression to truly shape his conclusion. I preached a sermon series last year on the doctrine of the Ascension, a doctrine that is mind-bogglingly overlooked by many churches and theologians. Western churches and theologians usually tack the Ascension on as an afterthought to the Resurrection (at best), without giving thought to the specific theological work that it accomplishes and continues to accomplish in the theo-drama of God’s redemptive plan through Christ and the Spirit. As I studied and prepared for the series, I realized how little I knew about the biblical and theological significance of the Ascension and, even more sadly, how little significant scholarship has been written about it. However, Hebrews stands out among all of our canonical literature as exalting the Ascension as the praiseworthy and effectual moment of atonement. In fact, the data made me go back and listen to a sermon series I preached through the book of Hebrews years before and, to my embarrassment, I practically overlooked (or downplayed) the endless references to the Ascension. Like the scholars Moffitt critiques, my attention was so focused on the crucifixion (largely because of a poor understanding of the levitical sacrificial system) that I could hardly muster the cognitive or theological energy to look anywhere else. 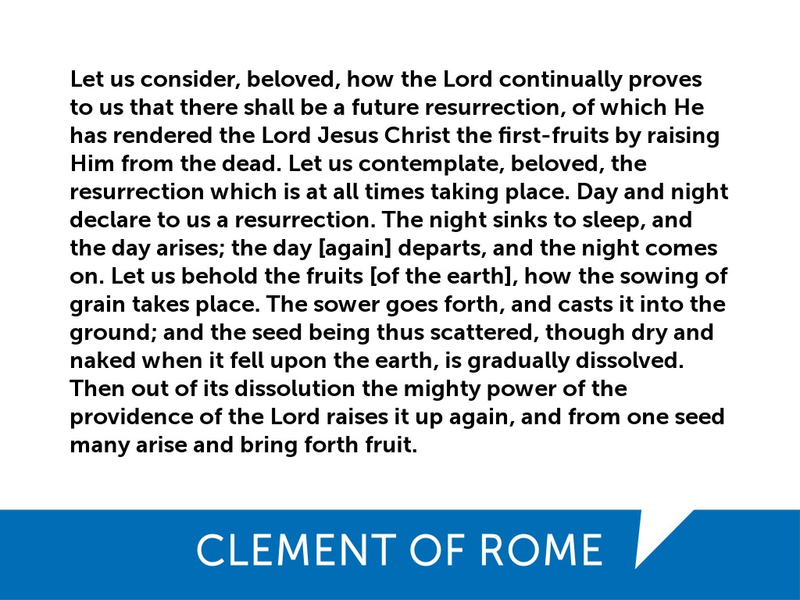 Now, however, not only do I see the importance of the resurrection in the book of Hebrews – I also see the locus of atonement as happening in heaven at the time of the ascension. Why do we give so little attention to the ascension as opposed to the crucifixion and resurrection of Jesus? Maybe because it is more theological and metaphysical? Maybe because we’ve overlooked its importance in the Scriptures? Regardless, I can no longer deny this truth: THE ASCENSION MATTERS. While the incarnation, life and ministry, death, and resurrection of Jesus are all vitally important to God’s work of salvation and to our faith – the ascension must be understood as equally important and praiseworthy. Have you noticed a tendency in churches or theology to overlook or downplay the importance of Jesus’ ascension? Do you agree that perhaps there is more biblical and theological weight put on the work of Jesus’ ascension than is often recognized? Where else, other than Hebrews, might we be downplaying the importance of the ascension in the canonical literature? “Nonviolent resistance” might be a more accurate term for Jesus’ teachings: he commands a “third way” between doing nothing and responding to violence with violence, namely, returning evil with good; resisting with love. I’m not sure it’s possible to “go back in time” and make-believe that we are an illiterate community. While listening to Mark, it was obviously clear to me that I am a textual person. Part of this is my personality (I learn better that way … I’m not an “oral learner”) but I believe that in a large way all of the developed world is irreversibly textual. In other words: I think textually… I process information textually… I organize material textually. I found myself consistently fighting the temptation to “see the words” in my mind or to place the story to a chapter or verse (chapters and verses are a separate problem: “Have We Ruined the Bible?”). 2: Mark is a genuinely good story. Bird, and other New Testament scholars, are correct to identify Mark as a legitimately engaging oral narrative. It keeps one’s attention with its pace, it has more than enough humor, and it contains a good amount of dramatic tension. Many of the “themes of Mark” that I knew intellectually, such as the Messianic Secret, had even more of an impact when I heard the entire text at once. 3: The cumulative effect of a story is greater than the sum of its parts. There’s something wise about keeping a story together instead of breaking it into pieces. A narrative seems to have a “cumulative meaning” – a powerful impression left on the mind when it is told all at once. There are many confusing events in Mark that make me want to stop and ask questions, but with the story continuing on one is forced to accept these elements as they are and keep following the narrative. In fact, having these questions unanswered and lingering in the back on one’s mind actually brings out the overall meaning of the story. 4: I’m often as confused as the disciples, but I want to follow Jesus. Jesus is an attractive, mysterious, and powerful figure. I want to know him, I want to be like him, and I want to follow him. I’m often afraid. At times I have denied him. But I’ve never been able to shake this haunting feeling that he has risen and I am called to follow him into the future. * Our church hosted the event and Mark was read by my good friend (and one of our Elders) Jake Milwee. While planning the event, we found out that we were definitely not the first to do so: see Mark’s Gospel Live, Performances of Mark’s Gospel, and Mark’s Gospel (performed by Max McClean).